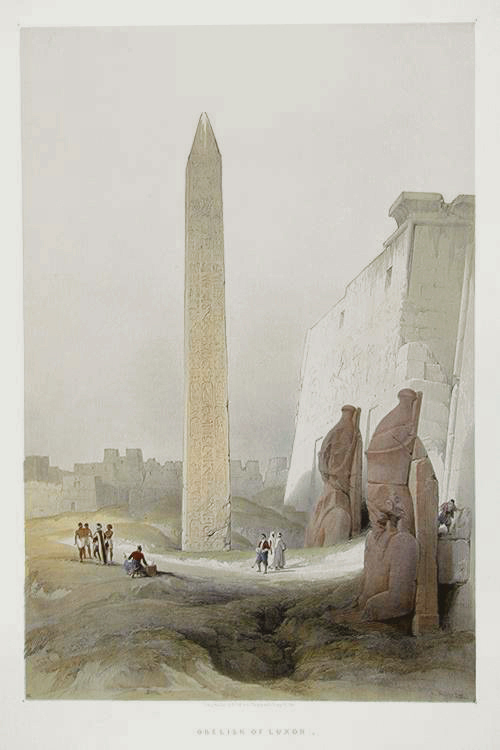 Comments: An excellent full folio print, showing the obelisk at the entrance to the temple at Luxor. The foreground hole remains from the second obelisk, removed by Napoleon to Paris and now at the Place de la Concorde. Price: $1,750 uncolored, $1,850 colored. Image: 12 7/8" x 19 1/8"